Pregnant with secrets and dripping with wonder, cloud forests exude mystery and magic to those who venture into their depths. Gnarled limbs festooned with mosses drip moisture, small birds flit through the understory, and colourful orchids glow through the misty air high above in the canopy. Cloud forests are characterized by tropical or subtropical montane forests occurring at higher elevations in tropical climates. 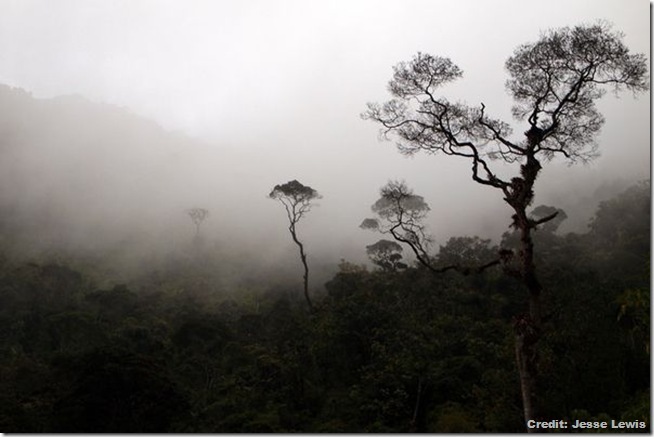 They are also sometimes called fog forests for their abundant fog and canopy-level cloud cover. Tropical cloud forests extend between 23 degrees north latitude to 25 degrees south latitude at elevations between 5,000 to 10,000 feet (1,500 and 3,000 meters) above sea level on continental landmasses. They often occur at much lower elevations - as low as 1,600 feet (500 m) - on oceanic islands, such as in the Caribbean and Hawaii. Storehouses for biodiversity, providers of abundant fresh water, and home to thousands of indigenous cultures the world over, tropical cloud forests are biological wonders of the world.